This review is about item#332062. Used to replace Suzuki's moped wheel bearings. Originally it was a bearing with a single sided metal seal, but this time it was a bearing with a double sided rubber seal to make it maintenance free. The resistance may increase somewhat, but I expect to reduce the frequency of maintenance. Price is cheap and is good! This review is about item#331922. Since NTN bearings have been used for repair from the old days, you should be able to use them reliably and safely, and receive products promptly from your order without struggling. The rotation is smooth and all noises are gone. About durability, we are watching for a while. Brand of relief. We can use without problem. I think that the durability is different in the place of use, but I think it is considerable if it is mixed with water and so on. This review is about item#332132. 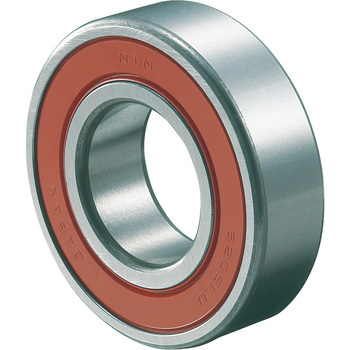 The original bearing is a single-sided sealed type, but the replaced bearing is a double-sided sealed type and can be used for a long time. We used four for bearing exchange of the front and rear hub of the monkey. It is safe because it is made of NTN of trust. This review is about item#00331992. This review is about item#332202. We purchased for replacement at the time of the auger disassembly of the snow blower. We purchased by maintenance work of snowplow twice including this time. There is no problem at all because it is made of NTN and safe in Japan. Like some beef bowls, cheap, fast and delicious (high quality) is an impression. Good luck with Japanese products. I used to replace the idle pulley bearings. It is expensive to replace the genuine, but it could be overhauled for only a few hundred yen. There is no problem with quality at all.